Polish away glass scratches and residue with Lake Country's leveling discs. 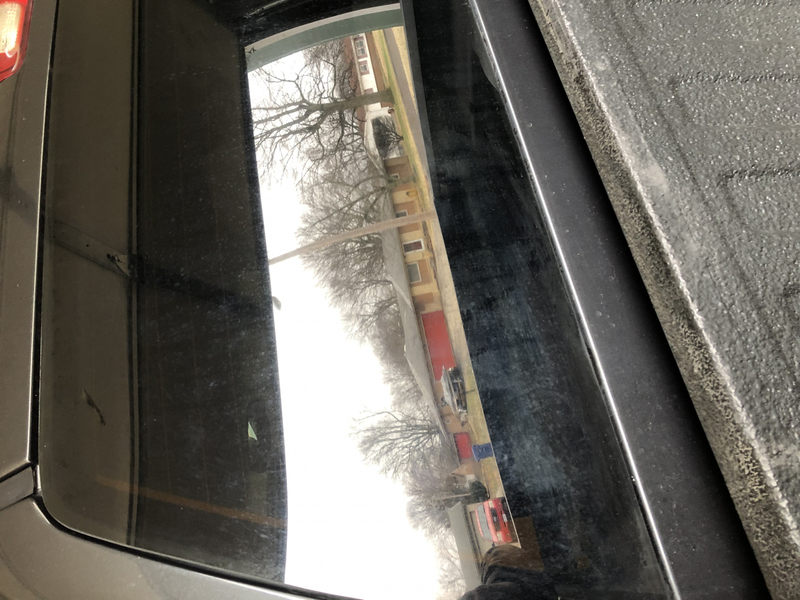 Lake Country's 3 Inch Glass Cutting Pads allow you to remove scratches, water spots, and stubborn residues from your windshield and windows! These professional grade pads work with your dual action or circular (rotary) polisher to eliminate glass imperfections safely and completely. These glass leveling discs polish glass in the same way that wool pads polish automotive paint. However, glass is very hard. The 3 Inch Glass Cutting Pads provide a flat, textured surface to effectively level scratches and imperfections without distortion. Each pad has hook and loop fasteners to secure the pad to a 2 7/8 or 3 inch backing plate. Lake Country's flexible backing plates each have a flexible beveled edge to prevent contact with the glass during operation. The 3 Inch Glass Cutting Pads can be used with your dual action or circular polisher. Work in a small area using a back and forth motion. Keep the glass wet while you work by misting it with water. For glass correction, use a designated glass polish, such as CarPro CeriGlass. Paint polishes can have fillers or oils that will make the glass tough to clean. CarPro CeriGlass is water-based and wipes away clean. 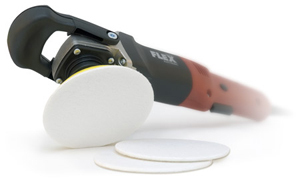 The 3 inch Glass Cutting Pads can be used with a rotary polisher, like the FLEX L3403, equipped with a 2 7/8 inch backing plate. Each 3 Inch Glass Cutting Pad is designed for repeated use. Clean the pads with BLACKFIRE Citrus Pad Cleaner. Store the pads in a sealed plastic bag to keep them clean when not in use. Depend on Lake Country's 3 Inch Glass Cutting Pads to restore your vehicle's glass quickly and safely. FLEX PE8 Kompakt Rotary Polisher FREE SHIPPING! I would like to see more grades of this product offered. I used these on a 1951 Hudson back glass that was scratched up pretty bad. Using the glass cutting compound from autogeek and being patient with the process, i was able to get 80 % of the scratches out and polish it very well. I spent several hours on the process. Afterwords, doing more research on this subject, I found that the Glass Polish Shop offers more grades of these glass cutting/polishing discs. This would allow a better job on badly scratched glass. Just used the rayon glass cutting pads this weekend on my windscreen. 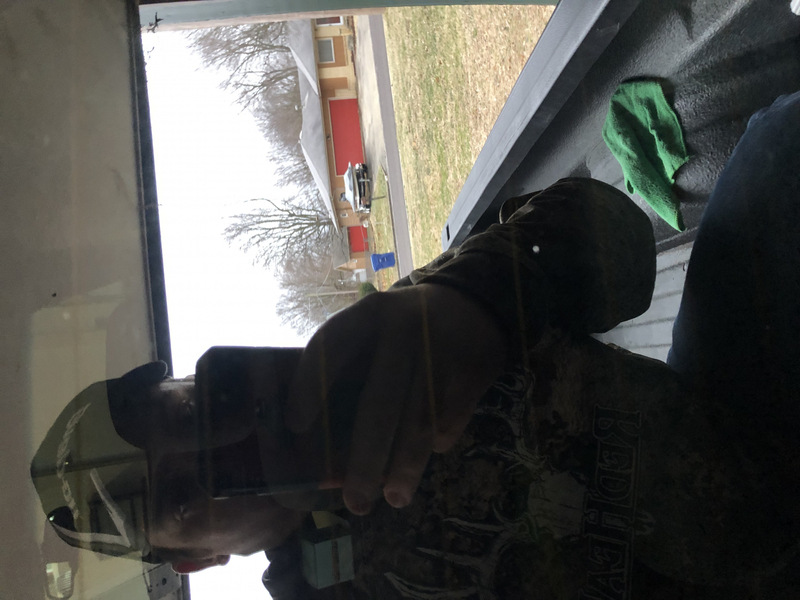 Remember when the car was new and the wipers would glide across the glass? Well, this is what happens on my 10 year old windscreen on my Civic right now. Using these pads with polish as part of the process is like magic!